Recent weeks have seen the release of several books that, have in some form or fashion, something to do with the Black Radical Tradition. While much fanfare has preceded the release of the new Ta-Nehisi Coates book, We Were Eight Years in Power (and with good reason), other books also speak to a renewed interest in African American radical thought. Where Coates seeks to describe the past and present of black history in America (in a discourse that ranges between center-left and radical), these other works offer a distinctly radical viewpoint of race and modern life. The rise of Black Lives Matter, Donald Trump’s election, and qualms about the limits of the Barack Obama administration have all played key roles in this new Black Radical moment in modern intellectual discourse. Within the academy, growing interest in the works of Cedric Robinson—most notably Black Marxism but also his other works The Terms of Order and Black Movements in America, among others—coupled with deep, penetrating critiques of capitalism’s relationship to race, class, gender, and sexual orientation, have provided some of the intellectual fuel for this moment. The “Black Perspectives” blog has also filled an important role in this, being a clearing house for all manner of scholars of the African American experience to talk about these various political and cultural intersections for a wide audience. This is all a long, and winding, way towards saying that everyone who reads this blog should take time, sooner or later, to read the edited collection Futures of Black Radicalism. 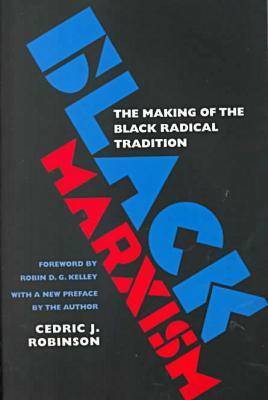 The edited collection, curated by Gaye Theresa Johnson and Alex Lubin, plays off of Cedric Robinson’s landmark book and gives scholars and lay readers alike the chance to think about what the term “black radicalism” actually means. To their credit, Johnson and Lubin don’t try to offer an ironclad answer to that question. As they put it in the introduction, their goal is “merely archiving a moment in Black radical thought, one which exceeds the pages of this book, and which is always more expansive than the people writing here.” What stands out about this book is the richness of intellectual discourse within its pages. A variety of historians, sociologists, and other scholars all tackle a central question: what, precisely, does the Black Radical Tradition say about life in the twenty-first century? In the pursuit of these questions, the scholars featured in Futures of Black Radicalism—which is a who’s who of scholars that study political economy, history, sociology, and other fields—demonstrate a determination to enter the kinds of public debates that scholars have argued for years we should join in earnest. In that sense, they speak to another essential tradition from the African American intellectual tradition: the need for scholars to go beyond the academy and join debates in the broad public concerning race, politics, and other intertwined fields. Another book, coming out soon, also promises to shake up discourse about the Black Radical Tradition. Keeanga-Yamahtta Taylor’s new collection of essays and interviews, How We Get Free: Black Feminism and the Combahee River Collective will be a valuable work for reminding people of the importance of the Combahee River Collective’s radical interpretation of feminism in the 1970s. The Collective was founded by African American women who wanted to make sure feminism did not remain an ideology linked exclusively to white, moderately liberal political discourse. More importantly, the name alone—Combahee River—recalls radical action and liberation (Combahee River was also the location of a famous raid led by Harriet Tubman during the American Civil War). It’s no surprise Taylor is doing work like this—her previous book, From #BlackLivesMatter to Black Liberation was also a crucial entry into modern debates about black radicalism and American society. Other books also promise to open new avenues of thought on the long history of black radicalism. Works such as Brittney Cooper’s Beyond Respectability: The Intellectual Thought of Race Women offers much to think about when considering the history of African American intellectuals. The forthcoming work from Ashley Farmer, Remaking Black Power: How Black Women Transformed an Era, will be an exciting—not to mention much-needed—evaluation of the role black women played in various Black Power-organizations and movements. We’ve already had a few works tackle this topic—most impressively The Revolution Has Come by Robyn C. Spencer—but I doubt we’ll ever have enough books about African American women and the role they played in various social movements in the twentieth century. Speaking of, Keisha Blain’s Set the World on Fire: Black Nationalist Women and the Global Struggle for Freedom, which is slated for release early next year, follows this same vein. The Black Radical Tradition lives on through both the scholarship of historians and activism in the streets. It is no coincidence that whenever the struggle for black freedom heats up in American society, the scholars and intellectuals always provide the literary firepower necessary to further the fight for justice. We are living in another such time—one that, I believe, will be both an exciting time for intellectual curiosity and a dangerous time to be an honest, opinionated intellectual. “Introduction,” Gaye Theresa Johnson and Alex Lubin, in Futures of Black Radicalism. London: Verso Books, 2017. P. 13.